Santa is packing his sleigh, getting ready for his annual global trek, assisted by his team of reindeer. 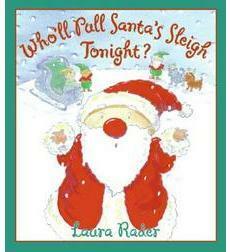 Today's Christmas Reading suggestions are all about the reindeer! 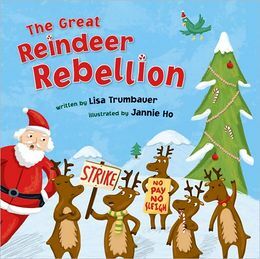 The great reindeer rebellion / by Lisa Trumbauer ; illustrated by Jannie Ho. In verse reminiscent of "'Twas the Night Before Christmas," tells of the year the reindeer went on strike, forcing Santa to audition a series of other animals to take over their job. Christmas is just around the corner. The sleigh is polished. The toys are wrapped. The lists are all checked (twice). Everything's right on schedule — until Santa finds all eight reindeer in bed with the flu. How can Santa deliver presents without the reindeer? What about Rudolph? Download and listen to this heartwarming tale, available from Overdrive, on the Library Catalogue. 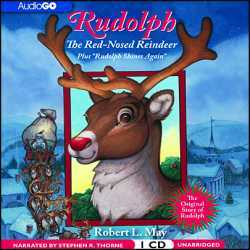 Rudolph the red-nosed reindeer [electronic resource] ; and Rudolph shines on / Robert L. May. Rudolph the red-nosed reindeer: Although the other reindeer laugh at him because of his bright red nose, Rudolph proves his worth when he is chosen to lead Santa's sleigh on a foggy night. Rudolph shines again: Rudolph is certain that there is no way he can be of any use to Santa now, and decides to go far away, where no one knows how bright his nose used to be. But on his journey, something magical happens.